Super Savings Item! 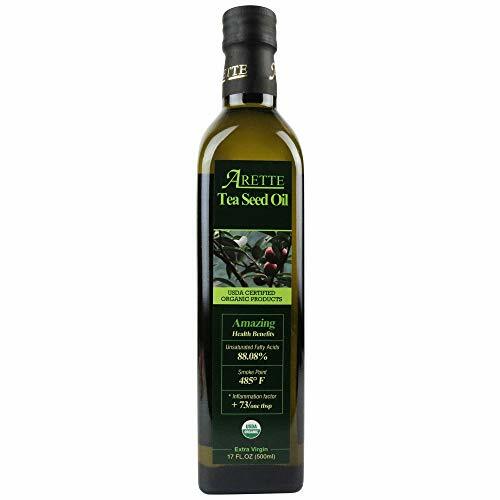 Save 38% on the Arette Organic Tea Seed Oil (USDA Certified) extra virgin, cold pressed 17 oz (500ml) by Arette Foods at Your Daily Food Choices. MPN: OCT500. Hurry! Limited time offer. Offer valid only while supplies last. ORGANIC TEA SEED OIL COLD PRESSED FROM THE SEEDS OF CAMELLIA OLEIFERA, A COUSIN OF THE TEA PLANT, CAMELLIA SINENSIS. ALL SEEDS ARE HAND PICKED. ORGANIC TEA SEED OIL COLD PRESSED FROM THE SEEDS OF CAMELLIA OLEIFERA, A COUSIN OF THE TEA PLANT, CAMELLIA SINENSIS. ALL SEEDS ARE HAND PICKED. PRODUCED IN CHINA. USDA CERTIFIED ORGANIC. Can be used externally as a moisturizer to help with fine lines and wrinkles. If you have any questions about this product by Arette Foods, contact us by completing and submitting the form below. If you are looking for a specif part number, please include it with your message.